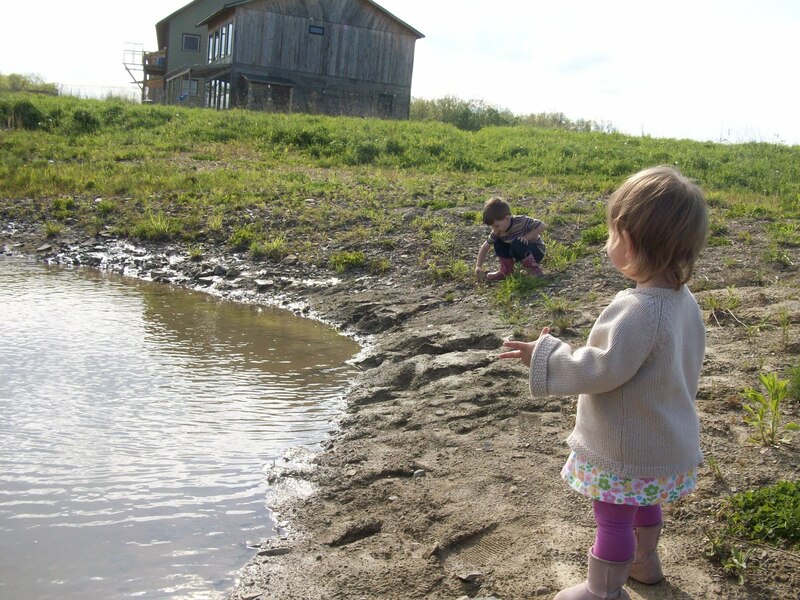 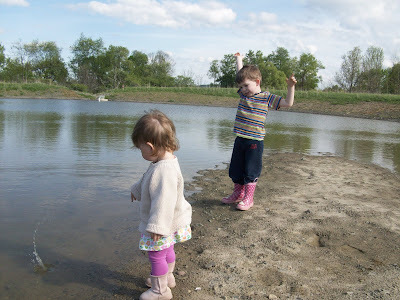 The pond is one of our favorite places to play. 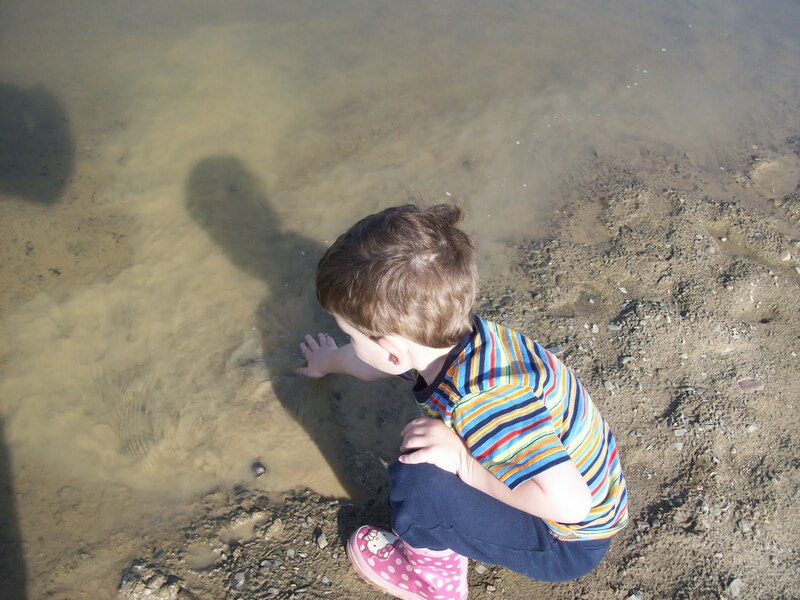 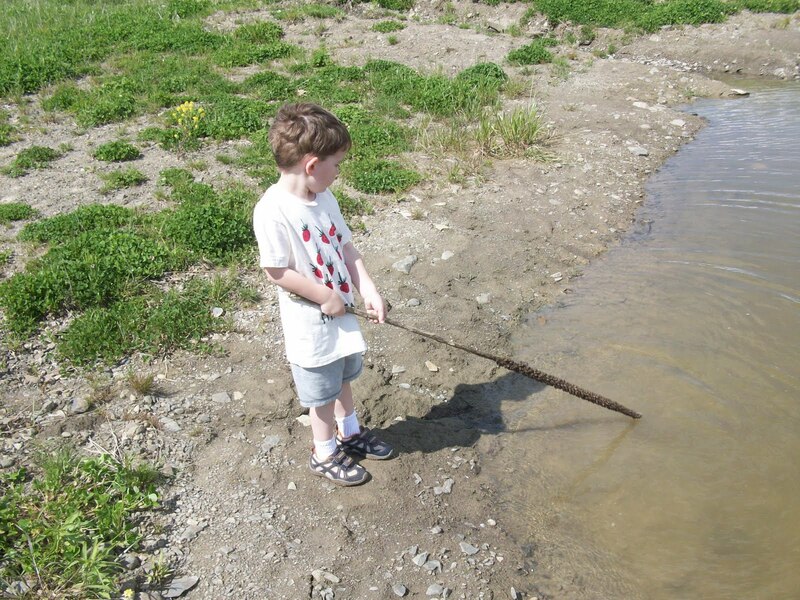 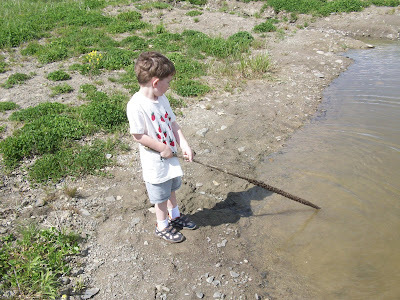 We throw rocks, check on the progress of plentiful tadpoles, look for animal tracks, and poke at the mud. Those who don't mind the mud hop in for a a swim.